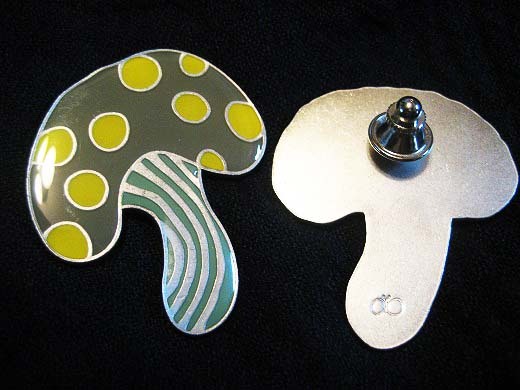 These Mushroom pins can be great accessories for scarves,bags and etc.. The mushroom caps are sooo cute!! Oh dear, these are lovely! 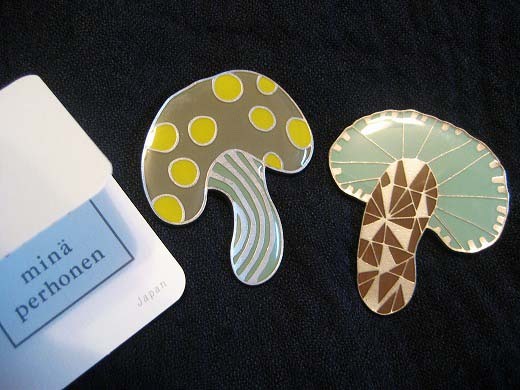 I love Minä Perhonen and I love also mushrooms, so your pins are double wonderful.